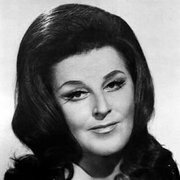 On Christmas day 2005 the great Swedish soprano Birgit Nilsson died in her homeland. News of her death was kept private, apparently at her own request, until the requisite obsequies were observed, so obituaries did not appear in the press until mid-January 2006. The passing of such an artist gives every reason to ask myself again where such vocal excellence comes from. It is no good telling me about the mechanics of voice production. There is a mystery to beauty, and anyone who was ever at a performance of Nilsson’s will tell you that such resplendent power, glistening acrobatic vocal technique, warmth and stamina could bring down the house, not just with applause and cheering, but with the certainty that one had been in the presence of greatness. This is one of the imponderables of theatre life—you never know when you are about to run into unexpected revelations. Only recently I experienced one of the great nights in the theatre when the Chekhov International Theatre Company presented Declan Donnellan’s production of Twelfth Night in Sydney. So much panache, but with subtlety; how effective the choreographed movement; what intimacy and musical delivery of the text (in Russian with surtitles). And what actors. Surprised by joy indeed! Well, this sometimes happens in the opera theatre which is one of the reasons people look forward to going. Then there is Australia’s own great soprano, Joan Sutherland. Australia has produced many fine singers, Nellie Melba, Florence Austral, Marjorie Lawrence and Lisa Gasteen among them, but Sutherland truly was La Stupenda, as the Italians dubbed her. We have all had the experience of being told about the supposed greatness of this or that performer or work of art, only to find ourselves disappointed and perplexed by the actual embodiment of the said diva, actor, book or film. Well, I had the pleasure of seeing Sutherland on many occasions towards the end of her career when she returned to Australia to perform at the Sydney Opera House, and I always marvelled at how easily her voice would fill the largest hall. One of the most astonishing sounds for people visiting Australia for the first time is the noise of kookaburras with their uproarious, cackling birdcalls. Hearing their laughter is sheer delight. But perhaps never did a more beautiful human sound come out of Australia than that of Joan Sutherland’s voice. 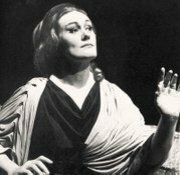 Joan Sutherland, OM AC DBE, one of the few non-Americans to receive a Kennedy Center Honors award. My admiration for these two singers has nothing to do with canary fancying, for which I have little time. Neither do I exclude other singers from the pleasure dome. I think you should take your vocal pleasures where you find them. I enjoy Trent Reznor and Jeff Buckley too, Jussi Björling and Waltraud Meier, Dietrich Fischer-Dieskau, Charles Trenet, Nina Simone. Where do you stop? I do not like the development of cults around singers. For example, the cult of Callas leaves me cold, even if Callas was a great singer too. Also, I dislike ranking people, insisting on one’s favourites at the expense of other vocal grandeur. One should be properly grateful for any kind of performing excellence, wherever it might derive. There is this thing called the glory of the human voice. Its equivalent in poetry is the enormous range of poets whose largeness of spirit and expressive power revives and delights. Well, Nilsson and Sutherland have different kinds of voices, of course. They are both sopranos, but what a difference in sound. Nilsson’s voice was often compared to that of a laser beam, cutting through vast Strauss and Wagner orchestras with consummate ease. Sutherland’s voice was also big, with an agility that took you on the wings of song to dazzling heights that astonished with their incandescent nobility. One of the interesting similarities about Nilsson and Sutherland was that neither of them played the diva. They were both immensely practical, down to earth kinds of people with a sense of humour needed to cope with the ups and downs of the theatrical life and the egos one sometimes encounters in performers of a certain kind and ability. These singers were humble before the greatness of the works they performed but did not allow themselves to be sold short either. I can never forget Nilsson walking onto the platform of the Concert Hall in the Sydney Opera House at the all-Wagner concert she gave in 1973. She was clearly nervous, and this after her long-lived career and success in all the world’s major opera houses. What a lesson to other performing artists about priorities, about duty towards greatness, about accepting a gift with due respect. But you would also have to have a sense of the ridiculous to survive epic Wagner and Donizetti runs, the nightmare roles of Salome and Elektra, the stratospheric coloratura of Bellini’s I Puritani or Massenet’s Esclarmonde. I’ll bet there was plenty of laughter backstage after, or during, performances. You would go insane if you took all that high seriousness around with you after curtain call. There are two well-known anecdotes regarding Nilsson’s humour: managing to put Herbert von Karajan in his place—quite an achievement—wearing a miner’s helmet to make fun of Karajan’s dim lighting in his Ring; and once quipping, when asked if she had any dependents, ‘Rudolf Bing’, then general manager of the Met. Nevertheless, there still remains the question of beauty, where it comes from. It will always remain a rhetorical question, since there can be no answers to it. Keats was wise: ‘ “Beauty is truth, truth beauty,”—that is all / Ye know on earth, and all ye need to know.’ However, ‘Ode On A Grecian Urn’ is not nearly good enough for our latter-day rationalists who think everything can be explained. Beauty is going to turn out an adaptive Darwinian mechanism for them. The human is a mutation of the gene pool in a dress, or suit. These people will tell me about vocal training, using the diaphragm correctly, scale practise, hard yakka as we Australians might call it. Necessary, but not an explanation. There are no explanations for Tristan, the statue of David or the taste of Australian shiraz. Don’t tell me about harmonic progression, quarrying marble in Carrara or the terroir of Western Australian soil. These are banal explanations for wonders, just as when we fall in love we realign the universe on inexplicable principles. And who would ever try to explain love? Only a very foolish person. When I hear Nilsson singing the Immolation Scene from Götterdämmerung or Sutherland performing ‘At The Balalaika’ I know that explanations must stop and that I must submit myself to a different form of knowledge, the knowledge that comes from feeling, into words, into the world. We know all too well that terrible things happen on this earth, but that is no reason to disavow greatness. That is a striking hypocrisy exhibited by nihilists who take delight in nothing so much as their own certainty that everything is awful, except, perhaps, their own pontifications about why things are awful. What a privilege it is to have heard these artists. One gives profound thanks for their splendour, the gift of their singing, the pleasures of their amazing artistry. And chaos the only factor to remember. And breaks the barrier of the flesh's senses. Bending to our doubting minds the final, purest shapes.